In an attempt to make reserving fitness classes way more straightforward, Google has created Reserve With Google, made specifically for those on desktop or with Google Maps on their smart device. With this feature, folks looking to score a yoga class quickly can simply locate a studio they’d like to attend a class at, then if that studio is signed up, you can reserve a class directly from inside the Reserve With Google website or Google Maps application. You can also do a basic search on Google Maps, without knowing the name of a studio you like. 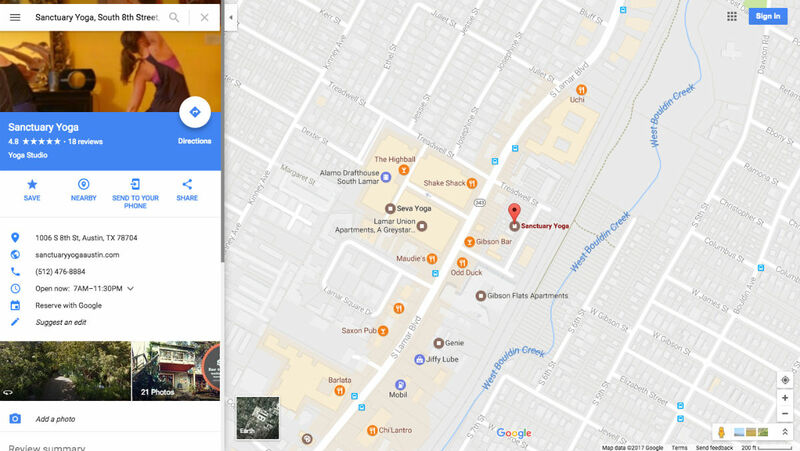 For example, I can type in “yoga” on Google Maps, find a location close to me offering classes, then book my class right from the app. It’s straightforward and there’s a surprising number of studios already signed up around my area (Portland, OR). I can imagine there’s even more studios in an area like San Francisco or New York City. For smaller towns, this may be a bit harder to use. Google specifies that it pulls real-time data and class inventory from existing providers, such as MINDBODY, MyTime, Genbook, Full Slate, Front Desk, and Appointy. As long as your favorite studio uses one of those, you will see it supported on Reserve With Google. Now, go forth and don’t break your back doing some crazy Head to Foot pose.